If you sneaked a peek at our Mother-Daughter Disneyland adventure, you might know that I developed a fixation with a Wookie during our travels. 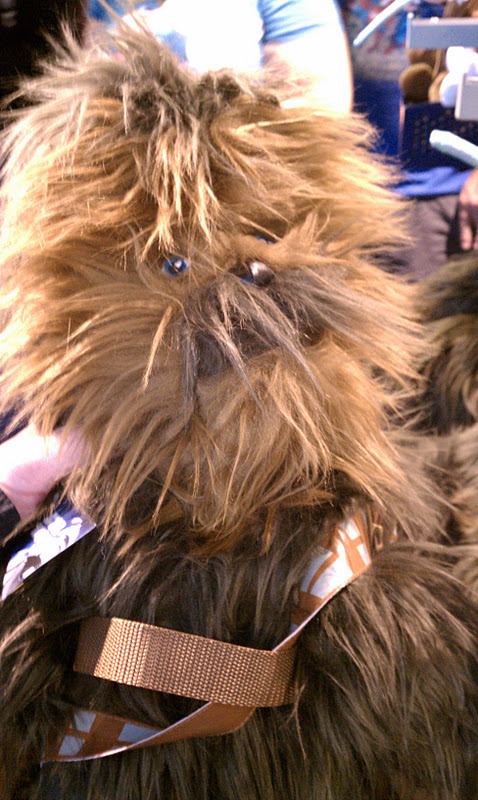 A wookie backpack to be specific. I thought it was an Ewok, truth-be-told, but nonetheless, I was nearly overwhelmed by the cuteness and almost laid down 60 smackers for the thing. Luckily, willpower prevailed and I did not succumb to the siren call of a completely inappropriate piece of "luggage." It was a really close call though! I wore him around the store for awhile. I'm certain it was the 90-degree Anaheim heat that made the decision for me.